Again this year, we're supporting Parkinsons UK in lieu of sending out Christmas cards. Our offices will be closed from 5:30pm on 21st of December and will reopen on 2nd of January 2018 at 8:30am. 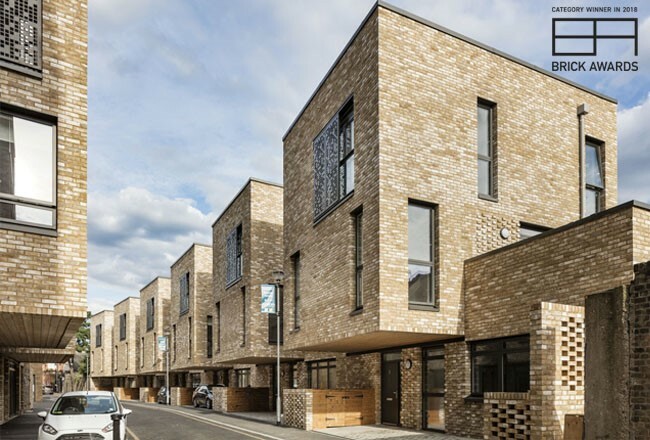 Creek Road in Greenwich has been named “The Architects’ Choice” at this year’s prestigious Brick Awards. Designed by BPTW for Peabody, the development is a new commercial-residential scheme. Tully De’Ath was involved from pre-planning, assisting to release this socially sensitive site, through detailed design and construction phases for the development of 80 units across five blocks up to 6 storeys, plus localised basements. During pre-planning works Tully De’Ath’s team undertook appraisals of existing buildings, party walls and construction sequencing to assist getting the scheme to site. Close negotiations with DLR were also key due to the proximity of tunnels to the East of the site. Subsequently, Tully De’Ath undertook detailed design and building out the scheme with a ‘continental’ approach involving a full RC wall system atop a transfer slab at 1st floor with commercial below. This has required a full rethink of the Engineering approach to design, finite element analysis and reinforcement detailing, all in close coordination with the Contractor’s experienced team. The Architects’ Choice Award is an exciting opportunity for finalists’ peers en masse to appraise shortlisted projects. Congratulations to the whole project team! Tully De’Ath is very pleased to be the new sponsor of St Gertrudes FC U15s who will be competing in the Epsom and Ewell League this season. 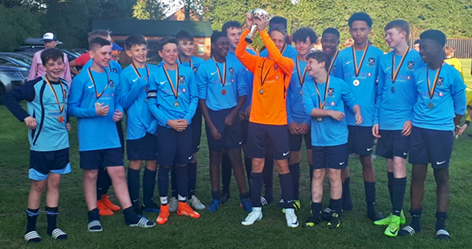 Resplendent in their new kits the boys tasted success at the first time of asking, coming out winners of the Old Coulsdon Colts pre-season tournament. We wish them every success for the coming season! Watt's Grove shortlisted by Inside Housing Development Awards. The Watt's Grove developed by the London Borough of Tower Hamlets (LBTH) with Tully De'Ath the consulting engineers is a modern development of 148 affordable flats and houses designed with a meaningful landscape area for community space. Despite challenges posed to the team such as the relocation of a nearby phone mast and LBHT's strict critera of a 50% carbon reduction in all their schemes it was a resounding success. - Best Affordable Housing Development (over 71 homes). Laing O’Rourke has announced an offsite partnership with developer Stanhope and housing association Network Homes to deliver hundreds of homes across the South East. The agreement will see Stanhope, which has £22bn in completed projects, and Network Homes, which owns and manages 20,000 properties across London and the South East, sign a £200m joint venture deal to complete 550 homes in Southall, Ealing. Laing O’Rourke will precision-engineer the homes using offsite manufacturing with construction expected to start in early 2019. Completion is set for mid-2021. Tully De'Ath are currently providing engineering feasibility/planning as part of the design team working towards RIBA 4.